Died: 14th September 1918; age 20; Died of Wounds. Residence: 71, Great Whip Street, Ipswich. 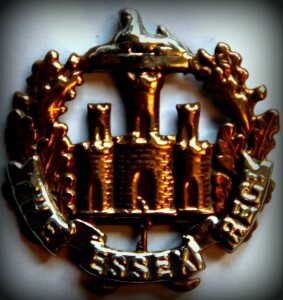 Regiment: Essex Regiment, 2nd Battalion. Both Frederick’s parents attended his funeral in France. Relatives Notified & Address: Son of Frederick & Annie Collins, of 71, Great Whip Street, Ipswich. 1901 8, Little Wingfield Street, Ipswich. Frederick was 3 years old and living with his parents. Frederick Collins, 29, a Labourer – G.E.Railway Co., born Ipswich. Annie Collins (nee Sewell), 27, born Ipswich. 1911 71, Great Whip Street, Ipswich. Frederick was 13 years old, an Errand Boy – Grocer. He was living with his parents & brother. 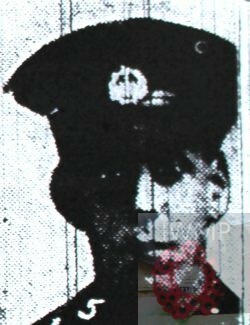 Frederick, 39, a Signal Fitter – Railway Co.
Arthur George Collins, 9, born Ipswich. Frederick is also remembered on the war memorial at St. Peter’s Church, Ipswich.